DTek is a first and second hand recumbent dealership near Ely. 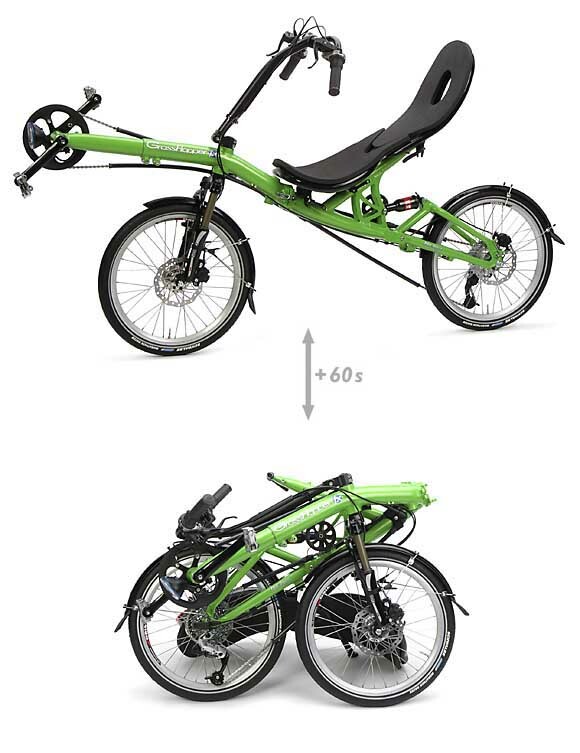 One very nice thing is that you can try a whole bunch of recumbents to see what’s for you. Because I used to own a recumebent (a RANS V3) we missed out on the easier to ride but slower models (apart from one, but I’ll come back to that). I was really happy about how easy they felt to control, even in tight spaces. All that time on the V3 must have given me recumbent reflexes. To put my review comments into context, I am after something to ride fast on road, but giving some concessions to practicality and comfort, such as mudguards and reasonable size tyres (28mm+). In essence, something for a similar purpose to my fast tourer / Audax bike. Thus bikes built for comfort, off-roading and heavy loads are never going to be my sort of thing. 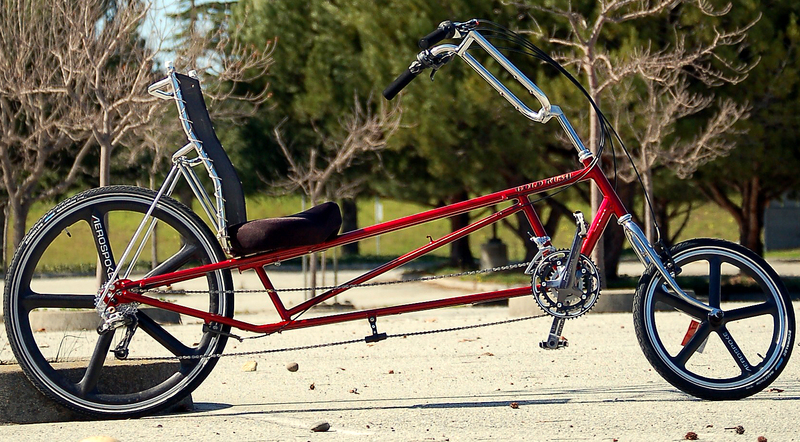 This was all round the best to ride of the short wheelbase recumbents. Good: It felt lively, would accelerate easily and was pretty fast. Mainly I think due to the lowish weight, stiff frame, sensible chain handling and 32mm tyres. Bad: I didn’t like the bars, I would have preferred a tiller and it was a little high. Not a problem when I sat up to stop, but if I stayed leant back I could feel the strain in my thighs. 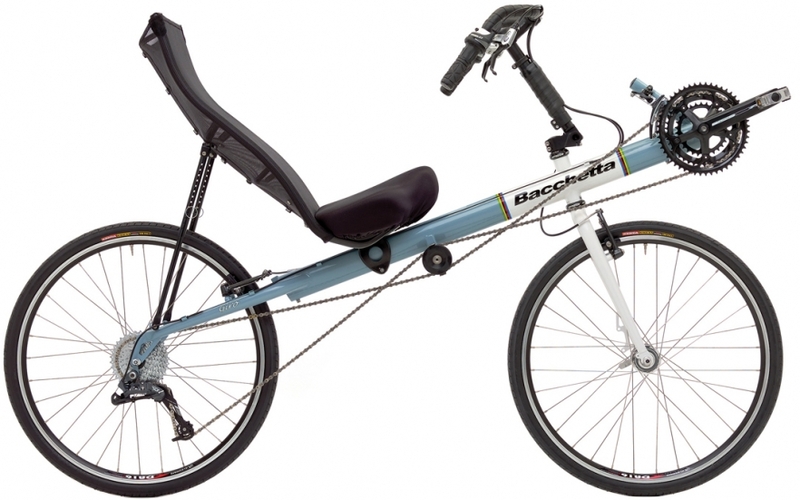 I’m told this would be better with the more sporty Bacchetta seat, without the big cushion, but I still think it might be a problem when tired. 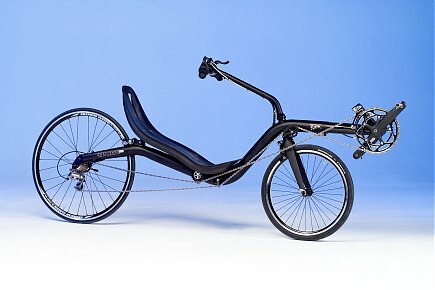 I rode the Orca while originally thinking about recumbents in 2008. I didn’t like it then and I’m afraid my opinion hasn’t changed. Good: I liked the tiller and bb to seat height. Bad: The seat is as high as the Giro, it’s very heavy and the combination of that, the suspension, chain tubes, fat tyres and transmission felt like it sucked up every ounce of power I put in and converted it to something other than forward motion. This was fun to ride, but slow, partly because of some phantom shifting. Good: The seating position (height and recline), bar and BB arrangement were my favourite of all the bikes I tried. I really loved swooping through tight corners within touching distance of the ground. Bad: Like the Orca, I couldn’t get any speed out of it and that was on flat, smooth roads. The model I rode had a front Zziper faring, which I’m told makes a big difference on this bike because the seating position is so upright. Minimum amount of re-adjusting from an upright, which probably accounts for why I actually clocked my fastest speeds on this. Good: Really easy to stop, start and ride because of the low BB. Pretty quick (though it had the skinniest tyres of all the bikes tried) with the chance to easily fit front & rear fairings (and maybe even a body sock) which would make it an aero beast. Bad: Over a very long distance, I think being on a bed would be more comfortable than a chair. Also, it wasn’t quite as fun to swoop around on as a more laid back bent, but that might also equate to not scaring the s**t out of you in traffic. I didn’t actually get to ride this, but the detail on the frame was incredible, with blade chain stays and jewel idlers. Also, I could pick it up with one finger, almost like a CF race bike. Either something more upright than I used to have that will give me the comfort, but be a minimal change from an upright bike and still allow the speed through the use of fairings and body-socks. 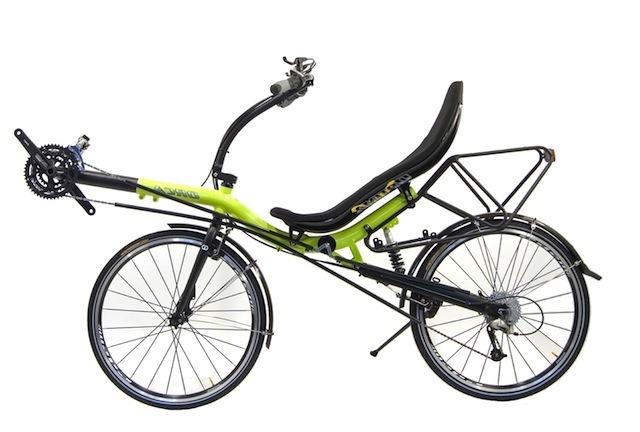 Or, if I want to go the “Dutch” route, I think what I ultimately want is a Fujin Tour (http://ligfietsen.nl/index.php?language=en&selection=semilowracers-fujintour-en) but without the suspension, making it closer to the weight of the Fujin SL. Mainly though, I’ll see what turns up on the cheap. Sounds like you had fun, shame it’s so far from here. The “supplied” pictures really are very similar to what I saw. Most of the other machines were hanging on walls or under dust covers with bits missing, so I don’t think you would have gained much. If you want details, it’s probably best to go to the suppliers website, I know Challenge have many close ups.